- Work with industry standard FBX data on a whole new level via the new Interchange Bridge. - Interactively choose what to import / export and how. - Add to existing FBX files from Layout and Modeler. 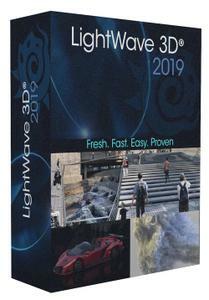 - Build LightWave 3D® assets from many FBX files. - Easily revisit FBX files via workspaces. - Metamorphic is a multipurpose animatable mesh sculpting and vertex map manipulation plug-in for LightWave 3D® 2019 that works in Layout, and takes full advantage of the new capabilities of the modifier stack.